Sellsy lets you add long specifications to your products. These information can be particularly useful with the ecommerce module. 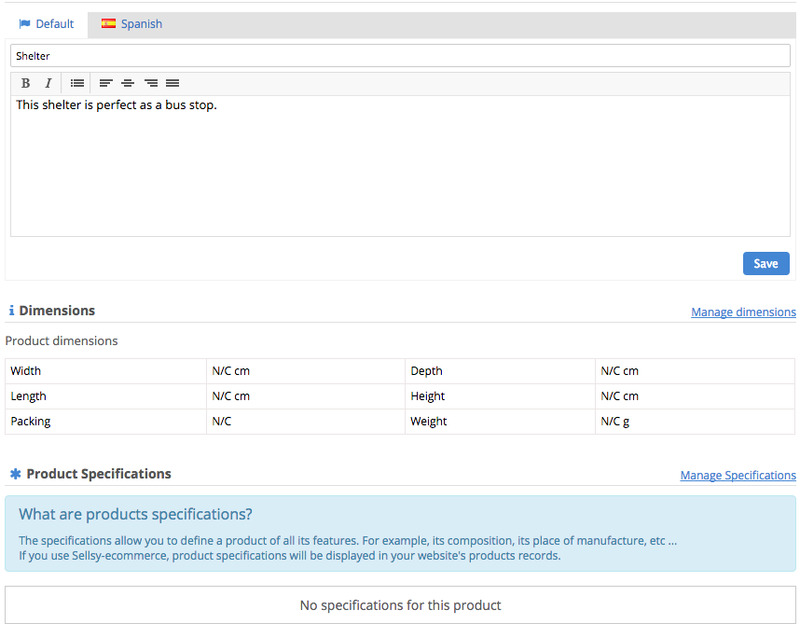 Specifications let you add more information than the Description field of the catalogue. This particularly useful to enter detailed technical information. Save and your specifications will be saved.